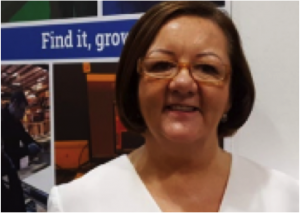 Meet our very own Maureen McGuinness, from HM Passport Office in Glasgow where as an Operational Excellence Coach where she coaches staff through Organisational Transformation. Prior to this role, Maureen worked as an Interview Officer for more than 10 years. She has volunteered as a mentor with MCR Pathways for several months and now features in their 'Spotlight on Partners'. Hear what Maureen has to say, and how she fits mentoring into her working week. I signed up to become a mentor as it is only ONE HOUR out of seven days in a week - so not a lot of my time! Knowing that I can dedicate that one hour to my mentee and build up a good rapport with them throughout the year is really worthwhile. I’ve noticed her confidence has improved as initially she was very quiet and a little withdrawn. She is really good at art and she would like to be a make-up artist so by explaining to her how her art could contribute to a future career she has taken an interest to research and find out more. She has been looking into working in theatres and other opportunities - not just a beauty salon. During our 50 mins we also laugh and joke as sometimes I see myself in her when I was that age! One of the best moments of mentoring my young person was when we said bye before the summer break. I asked “Do you want me to come back next term?” and with a big smile on her face she said YES! 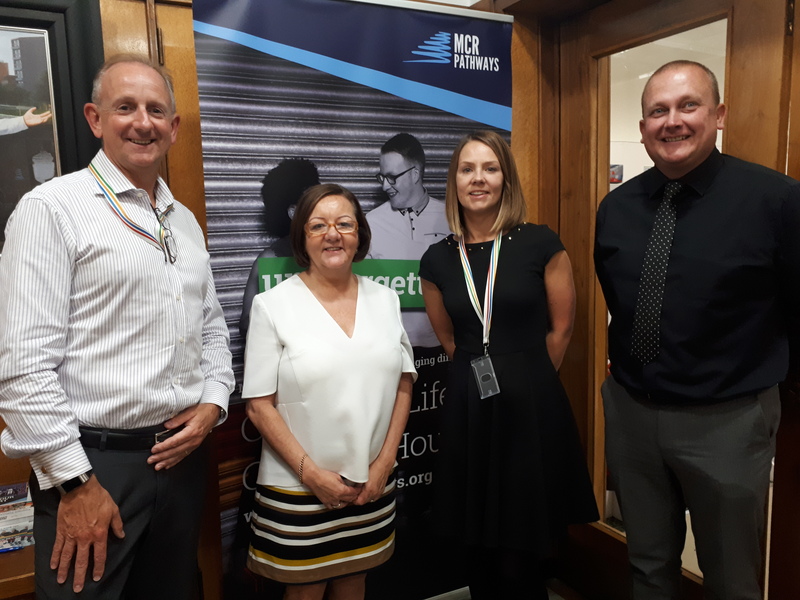 Coinciding with the new Academic Year, Civil Service Local Scotland are proud to announce our partnership with MCR Pathways, the first project strand of our 'Supporting Vulnerable Young People' portfolio, and are pleased to announce Maureen as the strand leader. MCR Pathways supports disadvantaged young people by matching them with a mentor, who they meet for one hour weekly, to help them realise their full potential. The programme, which began in one secondary school in 2007, is now embedded in all 30 Glasgow secondaries and moving into other local authorities across Scotland. Not only does MCR mentoring help young people to find, grow and use their talents, it also has an enormously positive effect on employees. Through mentoring, volunteers build personal development and leadership skills which make them more engaged, driven and motivated employees, as endorsed and accredited by Strathclyde University Business School. Like Maureen, mentors are there for their young person for one hour a week in their school. They listen and encourage them to think about their future and how to achieve their goals. Fully supported by MCR Pathways every step of the way, you have an opportunity, through the Civil Service to bring about a positive impact for you, the Civil Service, but most importantly the young person you mentor. MCR Pathways are currently looking for Civil Service mentors for young people in the Glasgow, Edinburgh, Aberdeen and Aberdeenshire areas. Interested? Please get in touch with Maureen to find out more at maureen.mcguinness@hmpo.gsi.gov.uk. Not living or working in one of those areas, but interested? Please get in touch with Maureen as MCR Pathways are continually increasing their reach, and may be in an area near you soon. Will find out from Maureen how I can get involved. In HMPO ( Her Majesty's Passport Office) we all get 5 days per year which we can use for initiatives like this. I know that Maureen has broke this down into hours and that HMPO have been supportive in allowing this. Great to see this. 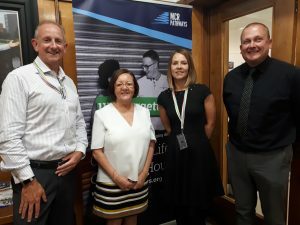 I recently attended a presentation by MCR Pathways and was really impressed by the work they do including the setup they have. They do all the ground work for you. Linking you with your preferred school and a young person who will benefit from your particular skills. They also spoke about rolling it out soon to other areas including North and South Lanarkshire, Edinburgh and Aberdeen. HMPO allow staff 5 days a year for staff to get involved in initiatives like this. It can be broken down into hours which is ideal for this.